At the beginning of the year, I asked four experts in the sector how digital might develop in 2018. As we’re seven months into the year, it’s time to take stock and see what the digital state of the sector is right now. Are we making progress or lagging behind? Paul de Gregorio, former director of digital engagement at Open, predicted that the sector would get serious about digital in 2018. With the deadline for the General Data Protection Regulation now behind us, charities have not only had to ensure that they are compliant, but have also had to audit, cleanse and grow their lists. Because social media is becoming an increasingly important channel, they’ve also had to start producing better content that is more tailored to their audiences. Both are good things. And you can’t get more serious about digital than the Charity Digital Code of Practice, a framework that has been developed to help charities increase their impact, develop their skills and improve sustainability. Several organisations, including Acevo, the Charity Finance Group, the National Council for Voluntary Organisations, the Small Charities Coalition, the Lloyd’s Bank Foundation and Cast, to name a few, have developed the code with the independent chair, Zoe Amar of Zoe Amar Communications. The code is a framework of seven principles: Leadership, User -led, Culture, Strategy, Skills, Managing Risks and Ethics, and Adaptability. Each principle has a section catering to small charities, so the code is designed for charities of all sizes. The code is currently out for consultation and will officially be launched in November. I’m excited to see how charities will use it and how it might positively affect the results of the next Charity Digital Skills Index. Julie Dodd, director of digital transformation and communication at Parkinson’s UK, said he hoped that 2018’s biggest trend would be "the continued growth in importance placed on technology to transform charity operations". I have seen many examples so far, including Age UK’s Steps app, which was developed with Cast. The app is currently used by front-line support staff who visit older people in their homes. They use the app to capture and record information, such as health details, then create an action plan, which might suggest a GP referral. 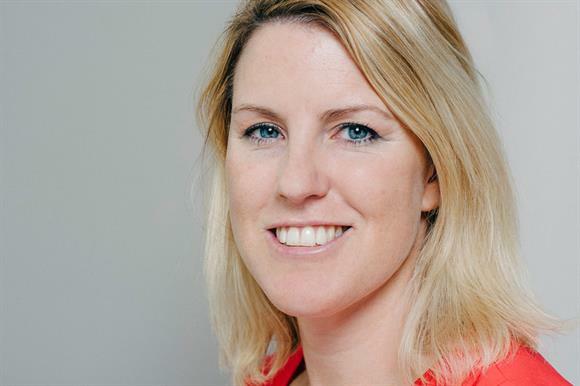 Speaking at the Institute of Fundraising's convention earlier this month, Lara Burns, chief digital and technology officer at Age UK, said: "Digital is not a bolt-on. It’s fundamental to how we are changing service delivery and enabling conversations with older people." The app is still in its pilot stage and only used by staff, but there are plans for further iterations to be aimed at older people, who could use it to create and manage their own action plans. providing the right treatment at the right time, through increased data collection and automated collection and analysis of outcomes. Joe Freeman, assistant director of digital engagement at Breast Cancer Now, predicted that we’ll talk less about digital transformation and more about digital culture. "Transformation" is still a bit of a buzzword, but what is encouraging is the number of charity digital teams that regularly share their learnings with their peers in the sector. Citizens Advice, Comic Relief, the NSPCC and Cancer Research UK all have blogs through which they share tips on a range of subjects, such as "how to build digital skills" and "what does digital fundraising really mean?" Charity Comms has launched a podcast this year in which it speak to people in the sector on topics such as digital leadership and driving digital change in charities. The Small Charities Coalition has recently started Twitter threads in which it shares learnings. The first one was on a recent third-party data breach and how the SCC dealt with it. The culture around digital is changing and it’s being driven by the desire of digital teams to upskill their colleagues and peers. Yasmin Georgiou, head of digital engagement at Great Ormond Street Hospital Children's Charity echoed this in her prediction that the sector would upskill when she said: "Overall, I think that in 12 months’ time we will all have become more digital. Developing digital skills across all teams is fast becoming a key priority, with many charities keen to integrate digital activity within their fundraising campaigns too." It's only July, but so far I’m encouraged by the progress being made by the sector in terms of understanding the importance of digital, the desire to use it to best serve the people they support and the need to upskill colleagues. It does appear that the sector is finally getting serious about digital.